Simcro are leaders in the design and manufacture of agricultural and animal health delivery systems. Its products are used by clients around the world and its brand has become the global benchmark for delivering animal health products. Simcro’s IT systems must not only support its domestic staff, but also need to provide a seamless link for staff travelling and working overseas. 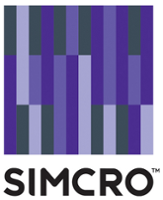 Simcro has been a key client of IT Partners for four years and Nigel says the great working relationship has been the result of one thing – complete trust. “I’ve been in my role since the start of 2009 and during that time, we’ve set up a lot of new systems. We’ve virtualised our servers, we’ve installed a variety of new software and we’ve generally tightened up our IT approach. “IT Partners has worked with us every step of the way and we have complete confidence in them. They ensure everything that needs to work in the background runs smoothly and when there’s an issue they respond quickly.”. After years of working together, the end result is that IT Partners continue to offer Simcro a high level of IT support and takes a proactive solutions approach. “It’s pretty simple – they make recommendations and we listen. They are extremely proactive – if they think we could benefit from a new piece of software, they let us know.